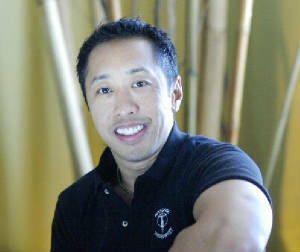 KMGH Denver Channel 7 "A-List" has ranked me as one of Denver's Top Massage Therapist for three years in a row. With growth comes change, and transition creates opportunities; that has been a consistent certainty throughout the years and I've learned to both embrace and celebrate it. Throughout the years, several amazing opportunities have presented themselves both personally and professionally for me, my family and friends. So, it is with growth in mind that I share with you my news. Those of you that know me, know that I have a deep passion for helping others, and during the past 17 years I have been helping people with their most important asset - their bodies combined with spiritual well-being. I wish I could describe the joy that this has brought to me and how each and every one of you have provided some pivotal moments in mine. It is these moments that have been the driving force behind my success in the body working field. On the personal side of my growth, I will be enhancing my career by entering into a modified accelerated Registered Nursing Program - specializing in geriatric and hospice care. In doing so I will be able to explore two personal loves of mine: Working with the elderly and transitioning (2 days a week) and providing bodywork (3 days a week). Before you begin to worry, “No I won’t be closing up shop” permanently. I will however be putting my massage business on hiatus untilI complete the program in June 2019. In closing, as the future unfolds life will present some challenges, it is nothing that I am not ready and able to face, and I'll do so with a smile. Your continued friendship and support means the world to me. All of my contact information remains the same.